The first step is to reach out to us, by phone or email to discuss your project. Admittedly, because we are often between shop, studio or meetings with clients emails are often easier to reply to after hours. We make every effort to respond to VM or emails in 24 hours. Is a construction permit required? In general most localities do not require a building permit for a structure less than 100 SF. Whether permit required or not you will need to be mindful of property line setback requirements. Permit requirements are governed by local ordinances so it’s best to check with your local building department. It is a client’s responsibility to apply for and obtain and required permit. We provide you with measured CAD Approval drawing that may or may not be required with permit application. Your building will need to be constructed or delivered onto a level foundation. We always prefer to see a 4” floating concrete slab with reinforced rebar, as this will provide the most stable base. For smaller buildings a properly prepared gravel foundation is an option. Check with us (and your local building department) before installing your foundation so that we can review specifications and sizing to properly mate with your selected building model. Do you install foundation pad? We do not. This is responsibility of homeowner. For those within a 90-mile radius (NJ-PA-DE) we do work with an independent company who can install your foundation. Otherwise you can work with your local landscape or mason contractor. We do provide you with general specifications and dimensions so that your foundation will properly mate with our building base. Are in-person visits to your studio and shop available? While not required, we encourage visits. More often than not we’re in and out so we require that you call/email at least 48 hours in advance to schedule an appointment. We’re also available weekends. Do you maintain a “showroom” display of available models? At our NJ studio location we do have 2-3 representative models on display. We typically have a building or two under construction on our shop floor. Otherwise, because we have so many completed projects scattered throughout the country we can often arrange for you to see a building in your area. Is there an advantage with building kit compared to a fully assembled model? To be clear, our building kits and fully assembled models are the same—same materials, windows, doors, etc. If shipping more than 300 miles a building kit is often preferred. Likewise, if site access is constrained a building kit is preferred. Building kits typically have a shorter lead-time of 6 weeks of less, compared to a fully assembled building that is typically 12 weeks or less. It is important to remember that a building kit is an assembly project more than a construction project. Approximately 50% of our orders are building kits. What is included in a building kit? It is important to remember that a building kit is an assembly project more than a construction project. We include all required materials, including fasteners, caulk and adhesive. Can an average DYI assemble one of your building kits? The prospect of assembling a small building may seem intimidating at first. Which is exactly why we have designed our buildings in such a way as to remove the “fear factor”. Fully 95% of components are pre-cut for quick assembly. Component parts are color-keyed and numbered to correspond to easy-to-read CAD construction drawing and visual assembly guide. Windows, doors and cupola are fully assembled. Doors are pre-drilled for hardware. Of course it helps to have basic understanding of construction techniques and requisite tools. An accurate miter saw, 6’ level, tape measure and battery hand drill are a few essential tools. How do I know how much it will cost for me to hire a local builder/carpenter to assemble a building kit? We can offer some general assembly cost guidance with each project. After an order is placed we provide extra copies of CAD construction documents to review with your builder/carpenter in advance of delivery so that they have a better understanding of what your project entails. It’s important that your builder understand the distinction between a construction project (which a building kit is not) and an assembly project (which our building kit is). In short, we do the fabrication, pre-cutting all parts, including complex compound miter cuts on hip and jack rafters. How does a building kit ship? Depends on location. If it’s within a 300-mile radius we generally arrange to ship this in our own truck or with a local carrier. If it’s outside 300 miles this will often (although not always) ship via common carrier. In either instance materials are safely packaged. Trucks are equipped with tailgate life to assist with off-load. It is the responsibility of the homeowner to arrange for help to off-load materials. Ability to lift 50 lbs is required. A typical kit can be off-loaded in one hour or less by two men. We recommend that materials be staged onto a ground tarp and covered until ready to assemble. Windows, doors, cupolas, accessory items and hardware should be stored in garage until time of installation. What is lead-time on buildings? As you might imagine lead-time varies depending on time of year (spring and fall our busiest seasons). 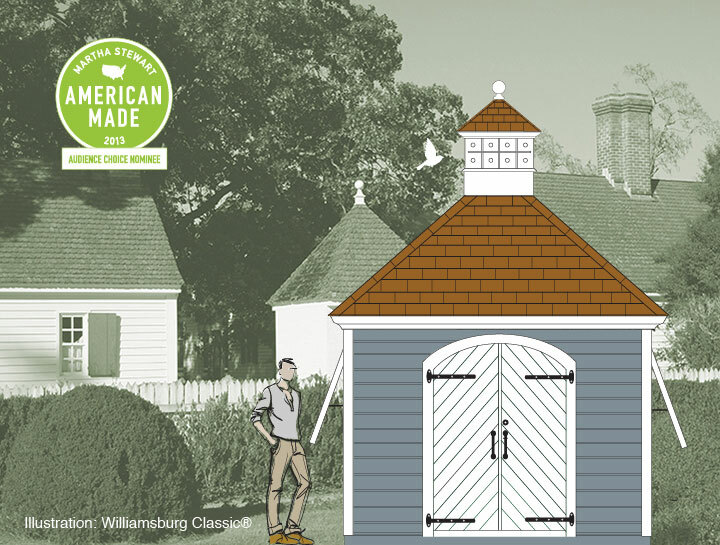 We do try to maintain an in-stock, quick-ship inventory of our popular flagship model Williamsburg Classic™ that is fully assembled and painted all white. On made-to-order buildings we try to maintain a 10-12-week lead-time. Our general advice is to order one season in advance of desired installation. Thus winter order for spring installation. Building kits generally ship sooner, in six (6) weeks or less, assuming all components are in stock inventory. We require a 50% deposit, 25% progress payment upon completion of CAD construction drawings; and 25% balance upon completion, prior to delivery. Yes, with 2% processing fee added to project cost. We do this because our quotes are based on cash/check price to offer the best value to our clients. Do you provide CAD drawing to review prior to construction? The design phase of the project is an important one. On the front-end we provide you with a floor plan and elevations, rendered in your selected paint color(s) to give you the best visual approximation of what your building will look like. There is an opportunity during this preliminary phase to make design changes. We will provide you with an updated Approval Drawing for your signature. Drawings are sent in PDF format with simple e-signature capability. Are you able to customize the buildings in your portfolio? Yes. Our design service is an integral part of the process and perhaps the most important. For customized buildings we offer choice of building plans only, building kit, or fully assembled. Each design is made-to-order to your specifications and requirements. There is a range of sizes for each building, including options for siding, roofing, flooring, windows, doors, and cupolas, together with an array of exterior and interior optional features. We have an altogether custom design in mind. Are you able to produce something not shown in your portfolio? Approximately 15% of our annual work is with architects/designer/homeowners to produce their custom designs. We can provide project estimate based on your sketch or CAD drawing. Sometimes a client will present us with an idea for a building design not shown in our portfolio. We look at each project on an individual basis to determine if it is a good fit for us both. What we will not do is knowingly copy or reproduce another company’s designs. We view this as a violation of good business ethics and principles. What does it mean that your buildings are exclusive and copyright protected? 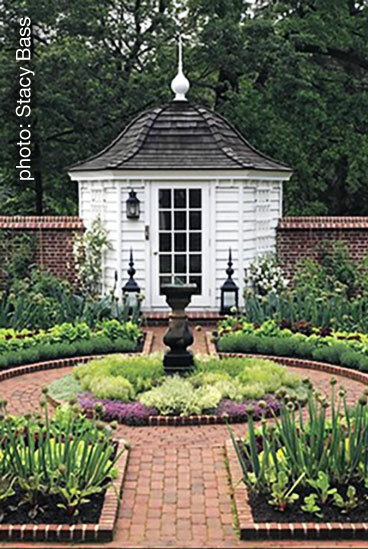 Our outbuilding designs are original creations with distinctive features that make them readily identifiable. Our designs are legally protected with registered copyrights. Understandably we are protective of our IP rights and have pursued successful legal action against others who would violate or infringe on these rights. Where can I see your outbuildings in-person? We do not maintain a showroom per se. We do have a few buildings on display at our Lambertville, NJ location. At any given time we have a building or two under construction on our shop floor in Flemington, NJ. Appointments are required in advance to visit either location. In the course of our 25-years we have delivered thousands of buildings that are scattered throughout the US. We are often able to arrange a visit to view one of our designs at a location near you. Can you ship a building outside of the US? We are always delighted when one of our outbuildings ship abroad. Overseas shipping is not much different from our domestic shipments. We consolidate and safely package all materials into a standard shipping container and coordinate with your freight broker. To date we have shipped outbuildings to Canada, Australia and Bermuda. Can I personally paint (finish) my building? Fully assembled buildings always ship with exterior fully finished, including all windows, doors, cupola and trim. All painted to your color selection(s). We use premium Sherwin Williams and Benjamin Moore coatings. Building kits leave with all exterior facing materials fully primed so that these are weather-protected during project assembly. With building kits we typically pre-finish the subcomponents (again, to your color selection) so that these items are ready to install. Siding and trim on building kits will require topcoat finishing once building is fully assembled. How does a fully assembled building ship? We work with a few independent delivery companies, each of whom are experienced with specialized equipment to properly install your fully assembled building. Outbuilding is either off-loaded directly from an articulating trailer, or off-loaded on driveway or street and transferred to a smaller “Mule” machine that will then shuttle the building in place onto your foundation pad. Can a building be insulated and heated/cooled? For most outbuildings, insulation is not required. Our building “envelope” is quite tight, making it ideal to heat and cool. We recommend installation of a “split system”. Mitsubishi makes a very efficient and small scale unit to both heat/cool. Can a bathroom be installed? Bathrooms are not typical, but certainly can be installed in our outbuildings. A bathroom/changing room is a more typical feature of a pool house. We address the layout and design of the bathroom during the project design phase. We verify size of your fixtures to ensure that everything will properly fit. Your local plumber will address the installation of plumbing and fixtures. Can a building be pre-wired? Yes, fully assembled outbuildings in our shop can be pre-wired. One of the advantages about our shop pre-wire is that we’re careful and particular about drilling and not “chewing” up a building frame. We also try to tuck and hide wire where least visible. You provide us with electrical specifications, identifying locations of duplex outlets, switches, exterior GFCI, lantern mounts, ceiling mount, etc. and we provide a CAD electrical plan for your review and approval. Wire is pig-tailed at desired building location exit for your local electrician to then make connection. How much access clearance is required for delivery? We require 2’ in addition to your outbuilding width for clearance. So, for example, if your building measures 10’ wide we would need 12’ wide clearance. It’s not unusual that fence sections be removed in advance of delivery for outbuilding access and clearance. If you have any potential concerns with delivery we ask that you take a smart phone video from driveway (or other starting point) and walk from there to the foundation. Email the video clip to us and we will review and offer guidance. Is there a warranty or guarantee associated with your outbuildings? We take great pride in our work at GS-OB and have worked too hard during our twenty-five years to earn our sterling reputation. This reputation includes both our work on our outbuildings and personal attention we offer to each client. Our designs are constructed to the highest industry standards using premium materials and quality craftsmanship. As such, defects are rare. If you should experience an issue of concern we would expect to be made aware of this within the first year so that we can evaluate and address.